The university also ranked on Times Higher Education inaugural list of Impact Rankings, one of only two in the country. LAU has reached out far and wide to innovate for a more sustainable environment, and promote scholarship and research. LAU has just been ranked tenth in Times Higher Education (THE) list of top universities in the Arab World, and also made the first-ever THE impact rankings based on the United Nations’ Sustainable Development Goals (SDGs). 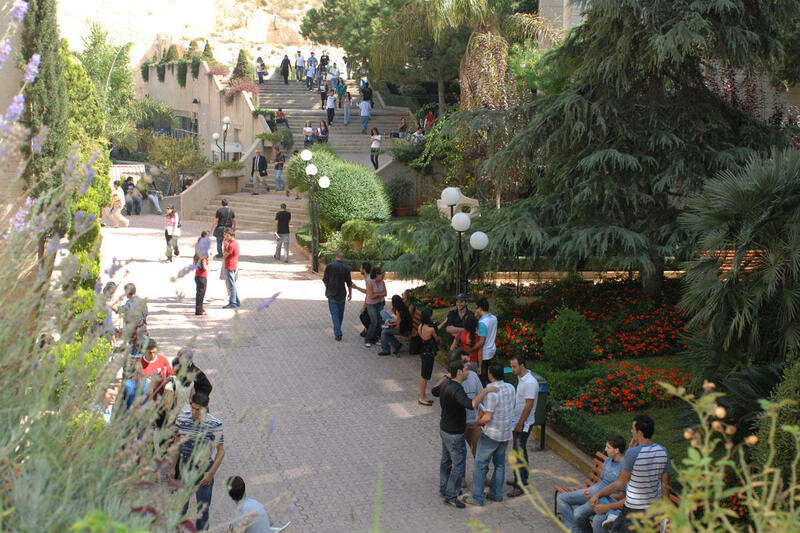 On both lists, LAU is one of the only two universities in Lebanon to be ranked. LAU is not new to world-renowned ranking bodies. These achievements follow hot on the heels of the university’s placement in THE’s and QS’s World University Rankings last summer, as well as the QS Regional Rankings of the Arab World. For Impact Rankings, THE measured universities’ performance on 11 of the 17 UN SDGs. As the ranking was a new one, LAU chose to participate in four goals, in which it ranked high on Good health and well-being, scoring 44.5–58.2; Gender equality, at 26.6–42.0; Quality education, at 6.2–39.0; and Partnerships for the Goals, at 1.4-35.8. Overall, LAU ranked among the top +301 bracket with a score of 23.8-53.6. SDGs or Global Goals aim to improve health and education, achieve equality and prosperity, and preserve the environment. They are part of the 2030 Agenda for Sustainable Development, calling for the global partnership of all United Nations Member States. Advancing the university’s position as a leading higher institution of learning has been the driving force of LAU’s senior leadership, its seven schools, its office of Graduate Studies and Research, its Department of Institutional Research & Assessment, and its Student Development and Enrollment Management, in accordance with the three pillars of the Third Strategic Plan: Intellectual Capital and Knowledge Management; Pedagogical Innovation and Integrated Delivery; and LAU without Borders. Looking toward the next five years, Dr. Jabbra stated that the university will strengthen its intellectual and academic standing further by significantly increasing its support for basic and affiliated research, embracing innovative and powerful learning methods, and continuing to recruit and retain the best and brightest faculty, referring to LAU’s plan to hire 100 faculty and add 20 new positions in interdisciplinary areas in the near future. Indeed, the university has reached out far and wide to innovate for a more sustainable environment, promote scholarship and research, and bolster a culture of critical thinking to produce solutions to problems that are specific to Lebanon and the region, among many more.